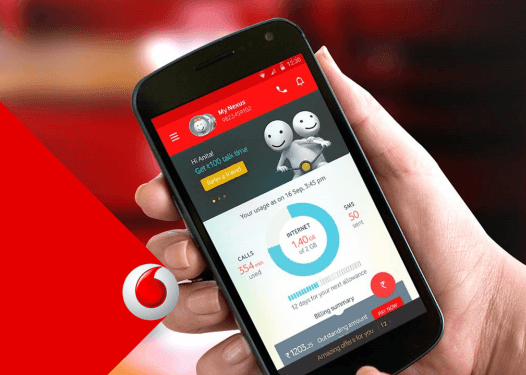 Vodafone India has come with yet another scheme where the company is offering 4GB of free data for the users upgrading to 4G. However, this offer has some limitations. Customers must have a 4G enabled handset to get the free data, and the offer is only for the residents of UP West and Uttrakhand. The Vodafone 4G SIMs are available at all Vodafone Stores, Vodafone Mini Stores and all other local retail stores across the circle. Vodafone customers can also call 199 to get the SIM delivered at their doorstep. Post the upgrade to a 4G SIM card, Vodafone prepaid customers can enjoy the one-time offer of free 4GB data for a period of 10 days, which is a disappointment. And the postpaid customers can avail the benefit till their next billing date. Aforesaid, customers need to be on a 4G handset to avail this offer. Also, Vodafone says that the extra 4G of free data will be added to the customer’s data balance within two hours of the SIM exchange. Once after receiving the 4G SIM card, users have to send an SMS as ‘SIMEX ’ to 55199 from the existing 3G Vodafone SIM card. Immediately, users will receive a response SMS from 55199 with partial SIM number entered, and now users have to reply to the same number with the new 4G SIM card’s last six digits. Within 20 minutes, customers will receive a success SMS, and after that, they can insert the SIM card on 4G enable handset. Vodafone did not reveal their plans for the offer roll out to other 4G circles. Currently, Vodafone is offering 4G services in 17 circles of India- Kerala, Kolkata, Karnataka, Delhi, Mumbai, Gujarat, Haryana, Uttar Pradesh (East), West Bengal, Haryana, Rajasthan, Punjab, Assam & North East, Odisha, Tamil Nadu, Maharashtra & Goa, Uttar Pradesh (West). Reliance Jio Dhan Dhana Dhan Offer: What It Means for You and Can It Disrupt the Market?